Why fix what isn’t broke? 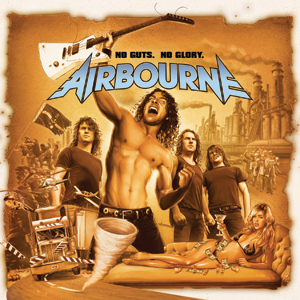 It’s much of the same from Australia’s Airbourne, but why fix what isn’t broke? Not that this formula is actually theirs to fix, but at least there are some enthusiastic musicians available should anything happen to AC/DC’s line-up in the future. Although not original at all, ‘No Guts. No Glory’ is another strong, balls-out full-length from the brothers O’Keeffe and co. First track ‘Born To Kill’ sounds awesome on headphones, so that’s one to piss off your neighbour on the bus. ‘Raise The Flag’ is surely a future live favourite, sounding slightly more Mötley Crüe than AC/DC, but it’s a welcome new direction (kind of) and one they should continue to experiment with next time round.